Many christians know the importance of reading the word and praying. But what about meditation? Would you think they are essential to the faith? Chances are, we probably will not place meditation as high up in our list. But as this book will argue, the Puritans would certainly disagree with us on that point. David Saxton has observed a lack in this crucial topic and has written a book that fights for the importance of mediation and teaches readers how to mediate. Saxton first shows the readers the rewards of meditation and why meditation is important to the christian faith. Next, he shows us what meditation is, and is not. Saxton highlights to the readers the difference meditation means to the christians as compared to the non-christian. The meditation Saxton proposes is one that is actively thinking about a certain topic, verse or doctrine, and not trying to empty one’s mind or to clear one’s head over an extended period of time. After defining what meditation is. He shows the readers what the Puritans has to say about meditation. First, the Puritans has thought through these matters very carefully and thoroughly. He showcases two kinds of meditation to the readers — occasional and deliberate meditation. One can be done when one has a spare moment or two, the other are extended time purposely planned to think through about a certain bible verse. Next, Saxton moves to show what topics a christian can meditation on, and how to go about choosing it. Having taught how and what to mediate on, Saxton then shows the readers the reasons for meditation and the benefits that one can derive from constant meditation. Lastly, Saxton talks about the common enemies one have against meditation. I found this book to be exceptionally well written, it is be an excellent book on meditation. Not only so, this is an excellent introduction to the Puritans, Saxton consistently quotes different Puritans and what they have to say about meditation. It was truly a joy to read this book and will certainty be the book I’ll refer others to when talking about this topic. Highly recommended for every christian. I’ve heard about this person Samuel Rutherford for some time, even some of his works. But thus far, I do not really know him. So it was with joy that I was able to read this book by Richard Hannula. This book follows the life of Samuel Rutherford chronologically and highlights the key points in his life. I found this book very enlightening as I really do not know much about the history of the Scottish church and this book not only helped me appreciate the life of Samuel Rutherford but also helps me to have a deeper appreciation of the Scottish church. Hannula writes in a way that’s very readable and easy to follow. For a novice in Scottish church history, I found that I was able to follow the timeline, and understand the concern they had against the crown. But, some brief knowledge of the english Puritans and the history of England will be needed. Highly recommended for anyone who wants to have a good introduction to the life of Samuel Rutherford. You will not regret reading this book. If you have been to any wine tasting or appreciation lessons or enjoy tasting samples given out, you will definitely know how helpful they are. They help you appreciate the ranges and differences they bring as you taste their uniqueness and differences from each other. What’s more, giving you snippets of it allows you to really try out a whole range of goodies. This is what this book is. It is a ‘taster’ of John Owen’s writing. Ryan McGraw first introduces John Owen to the readers, giving a brief overview of his life, and the times and culture he lived in. Next, he gives us the broad strokes of John Owen’s writing, essentially giving us a summary of the theology of John Owen. Following which, he throws us to the deep end and allows us to interact directly with Owen’s writing. What the author has done excellently in this book is to distill out Owen’s writing into very small chapters, each lasting not more than 1 to 3 pages. With that he allows the reader to start reading Owen in a fairly non-threatening way, albeit some readers may not be used to Owen’s writing even when reading this book, it is an excellent way to for new readers to start reading bits of Owen, and seeing how he plunges into the depth of the Word. Far too often, people are either scared by Owen’s notoriety, or turned off when actually reading his works. This book will no doubt help readers see that Owen, though difficult is definitely understandable and worth every effort to understand it. McGraw very helpfully has also added in 2 appendices that should make the book extremely valuable, first he encourages and advises readers to continue reading Owen, and which books to start with. In the other appendix, McGraw draws out a timeline of Owen’s publishing, a very helpful piece of information for those who are interested to see how Owen’s thoughts and works grew through his years. If you wish to start reading or knowing Owen, other than recommending you to read stuff that people have written about Owen, I would highly encourage you to read this book. I find that this is the best book to start anyone who’s interested and willing to read Owen’s work directly. John Owen is known as being one of the greatest theologians in the history of the church and one who offered penetrating analysis of the human condition. Though his works are reputed as being difficult to read, they always prove worth the effort. Jerry Bridges says, “To read Owen is to mine spiritual gold.” Mark Dever says, “Sin is tenacious, but by God’s grace we can hate it and hunt it. John Owen provides the mater guide for the sin-hunter.” And Phillip Ryken insists that, “John Owen is a spiritual surgeon with the rare skill to cut away the cancer of sin and bring gospel healing to the sinner’s soul. Apart from the Bible, I have found his writings to be the best books ever written to help me stop sinning the same old sins.” Are you getting the theme there? Each week we’ll each read one chapter of the book. I’ll post my reflection on the chapter, and I’ll also post the link of Challies’ reflection on the same chapter on my post as well. We’ll start our first post on 8th Sept, so do get a copy of the book and read the first chapter by that day! If you are interested in reading this book together, you can get a copy of the book Overcoming Sin and Temptation, here, and here (free international shipping), Kindle, free pdf. If you’re interested in buying a copy of The Mortification of Sin you can get a copy here, and here (free international shipping), Kindle, pdf. This is a question that every christian would have asked, ‘Why did God create the world?’ The young asks in curiosity and the old asks in bewilderment, their advances in years have seemingly not helped them much on this question! But, Jonathan Edwards has done A LOT of thinking in this question, and has even written a book on it! But, sometimes people have complained about how difficult it is to read Jonathan Edwards. So what can these people do? (Other than persevering on and reading it!) A good alternative is now available, Ben Stevens has paraphrased and modernised Jonathan Edwards’ ‘A Dissertation Concerning the End for Which the World Was Created’ into this easy to read work. Ben is highly commended for the excellent job he has done especially with this very tough assignment. He is really able to allow Edwards to speak to us, in no way does he tries to interject his ideas into the readers but really allows the readers to come away with a deep appreciation of Edwards, and to spur readers to then dive into Edwards’ own writing. I foresee this work will spur even more readers to be exposure to Edwards, and also encourage them to read Edwards’ in his original form. This book is really a good primer for anyone who wishes to have a feel of how Edwards is, and will act like a ‘hook’ to hook others to read Edwards even more after they’re done with this book and I look forward to future such adaptations! Lewis Bayly was born most probably to Thomas Bayly, a curate and Judith Appleton. Lewis was known for his preaching, and was appointed chaplain to Prince Henry, when King James became the King. He was a conformed Calvinist, who respected the authority of the church. The Practice of Piety is the most famous work by Lewis Bayly, which was published in 1608 written shortly after his wife had passed away. Bayly then went to earn a Bachelor and Doctorate in divinity in 1613. He was then appointed to be chaplain to the King in 1616, and was consecrated as Bishop of Bangor in December that year. Bayly died in Oct 1631, but his remaining years was filled with accusations and charges which harassed him for around 10 years. Bayly however, was able to successfully defend himself through all the charges, and was never charged for any of the accusations. Paul Baynes is the sort of prodigal son we are familiar with. He was born in 1573, and was so ungodly that the father removed him from any family inheritance until he showed some signs of repentance. Soon after his father’s death, Paul Baynes was converted and was soon growing in his godliness. He was known for being well-read, sharp wit and depth of judgement, and heavenly conversations. Paul earned a Bachelor of Arts (1594) and a Master degree in 1597 from Cambridge. And succeeded William Perkins as lecturer in St Andrews after he served a few years as a fellow at Christ’s College. Baynes was a nonconformist, and was heavily opposed by Samuel Harsnet, the chancellor to Archbishop Brancroft. Being exceptionally gifted, Baynes was targeted by Harsnet to be banished, however he handled himself so well that all charges against him was dropped! Baynes lived his remaining years in poverty and in ill-health, and was finally passed away in 1617. 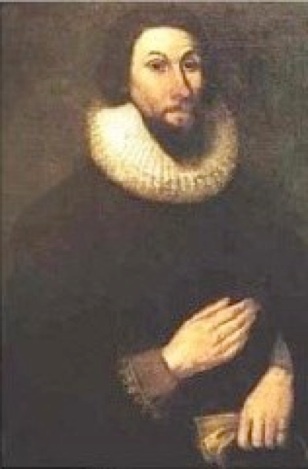 Richard Sibbes, his successor at St Andrews, who was converted under his preaching, and was deeply shaped by his teaching, often called him “our Paul”. Although Richard Baxter was the only son, he lived the first 10 years of his life with his maternal grandparents, instead of his own parents due to his father’s debt and gambling habit and mother’s poor health. 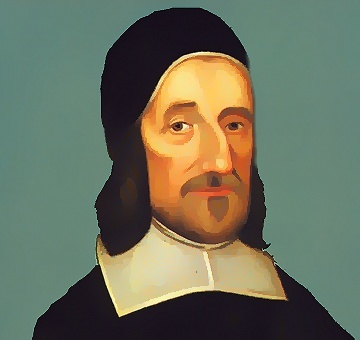 But upon returning, Baxter had a good serious talk with his father, Richard Baxter, Sr. who since had converted through the reading of scriptures, it was through these serious talks with his father that Richard Baxter recounted as his conversion point. Richard did not have much formal education, but mostly learnt through his self-reading, he was deeply influenced by authors like William Perkins, Richard Sibbes and Ezekiel Culver. He then enrolled into a grammar school and was persuaded not to enroll into university and instead was mentored for 18 months under Richard Wickstead, the chaplain of Ludlow Castle. At the age of 23, Baxter was ordained deacon and therefore had joined the conformist, thinking that they had a better cause. Baxter would later develop a deeper appreciation for nonconformity when he served briefly for 9 months as assistant minister at Bridgnorth, Shropshire. Baxter also had accompany the army during the early days of Civil War, and was compelled to leave in 1647 due his his prolonged illness. It was during this period of illness that Baxter wrote the first part of ‘The Saints’ Everlasting Rest‘. In the ensuing years, Baxter laboured laboriously through pain as he served at Kidderminster, in which the congregation grew not only in numbers, but also in godliness. In 1662, almost at the age of 50, Baxter was ejected from the Church of England because of the Act of Uniformity. It was also around this time where Baxter married Margaret Charlton, this marriage at first raised some consternation, due to their age disparity (Margaret was in her early 20s then). But their fears were dispelled after the excellence of their marriage was seen by others. For his remaining years, Baxter would be hounded by magistrates, with possessions being confiscated and imprisoned various times. All these lasted until 1989, 2 years before Baxter eventually died, where the Toleration Act was passed. Baxter spent his remaining time writing and eventually penned about 150 treaties, not counting his hundreds of unpublished letters and papers. Sorry for the short post today, we have only 1 puritan today, but lots of resources from him. And do look forward to the next puritan on the list! I’m pretty sure you would have heard of him! William Bates was a well-esteemed nonconformist preacher, who had surprisingly played a major role int he restoration of King Charles II. Bates graduated from Queen’s college with a Bachelor of Arts in 1625, and a masters of Arts in 1648. He was a very fruitful minister, first he was appointed to be the royal chaplain in 1660, after Charles II was restored, was also appointed commissioner for the approbation of ministers and was (by royal mandate) given a doctorate in divinity from Cambridge University. The following year, Bates was also involved in the review of public liturgy (representing the Presbyterian) which includes identifying weaknesses in the The Book of Common Prayer. Finally in 1662, Bates was ejected because of the act of uniformity, he took no offense at it, and in his last sermon to his congregation at St. Dunstan’s Church, made no mention of the coming ejection and only mildly mentioned in his conclusion about his fear of offending God. Many of Bates’s work are deemed to be practical and heavenly yet never tedious, and ought to be read by many who are interested in the works of puritans. Here are the online versions. The life of Robert Asty seems rather sparse. His father was ejected from the church of England on St. Bartholomew’s Day (24th August 1662), and he too stay out of the church from then on. He then opened a grammar school in 1663 and taught there for the next 10 years. In 1668, Asty married Lydia Sammes, and had 7 children together. Asty would eventually grief over the lost of 3 of his children before his own death in October 14 1681, at the age of thirty-nine. One interesting fact, his second son, John, was actually classmate with Isaac Watts whilst studying together for the ministry, they eventually went to be associated colleagues in the Independent Church. Richard Baker was born in 1568 to a wealthy family, his father was a lawyer and his mother was the daughter of Reginald Scott. At the age of 16, Baker then went Oxford to study law, however he left some time later and went to the continent to acquire languages and experience cultures. He finally went back to Oxford and complete his Masters in 1594. Baker then married Margert Mainwaring, whereby he became a surety for her family’s debt. In 1625, Baker was reported to be a debtor to the crown and was thrown into prison in 1635 where he stayed for the next 10 years until his death. Richard Baker is well known for his historical writings, such as A Chronicle of the Kings of England. Ames was born on 1576, and was educated at Christ’s College, Cambridge University at the age of 18. Both of Ames’ parents died when he was young and he was raised by his maternal uncle. Ames graduated from university with a bachelor of Arts 4 years later, and after another 3 more years of studies, he graduated with a Masters of Arts in 1601. It was in this period, through the preaching of William Perkins, Ames went through a dramatic conversion experience. From then on, being a sincere hearted christian was Ames’ life goal and his works will be evidence of this desire. Ames was exiled to the Netherlands 1610 because of his fearless and critical preaching, which denounced the local festival of its vices. It will be in the Netherlands whilst being exiled where Ames will excel. In the Netherlands, Ames will be recognised for his abilities in systematic theology and would be named the ‘Augustine of Holland’. In 1622, Ames was appointed the professor of theology at Franeker University, despite protest from the English authorities. It was in this year that Ames received his Doctor of Theology having defended his thirty-eight(!) theses and four corollaries on the ‘nature, theory and practical working of conscience’. Ames continued teaching in this university until his death in 1633 due to pneumonia.